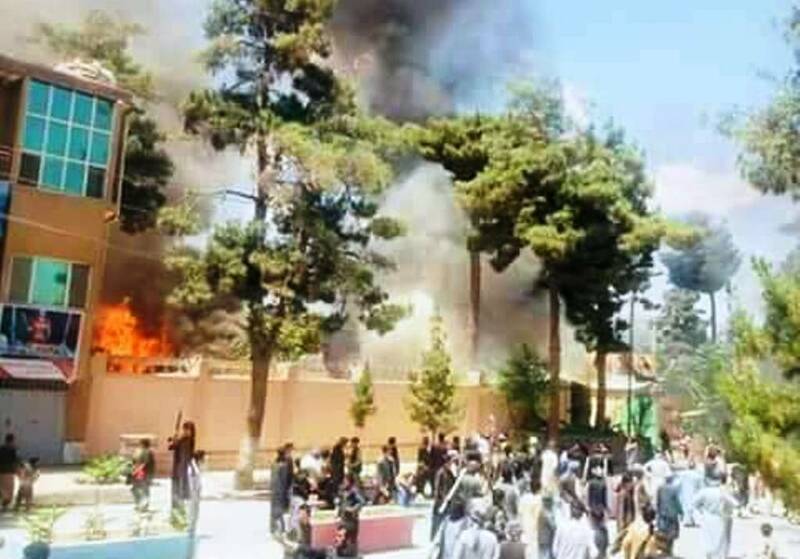 Reports emerging from Faryab province indicate that the protesters set the provincial government compound on fire after attacking several government and security compounds in this province. 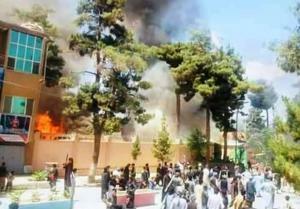 The eyewitnesses in the area are saying that the angry protesters and supporters of Junbish Milli commander Nizamuddin Qaisari attacked the provincial government, provincial intelligence compound, and the provincial security compound earlier today. According to the eyewitnesses, the protesters also set on fire several vehicles belonging to the security forces. They also added that the Afghan forces responded to the aggression of the protesters, leaving at least three dead and at least seven others wounded. The local government and security officials have not commented in this regard so far. But the provincial public health officials are saying that the dead body of one protester has been taken to the hospital along with seven others who have sustained injuries. The protests against the apprehension of commander Qaisari turned violent earlier today as the protesters were attempting to storm in the government compounds. The local government and military officials confirmed that Commander Nizamuddin Qaisari was arrested following a scuffle in a military compound on Monday evening. A provincial council member of Faryab Tahir Rahmani confirmed that Commander Qaisari has been arrested by the Special Forces of the Afghan Military. He said Commander Qaisari started verbal clash with the participants of a security meeting in Maimana city which resulted into a armed clash. According to Rahmani, at least four security guards of commander Qaisari were killed and at least four others were wounded.